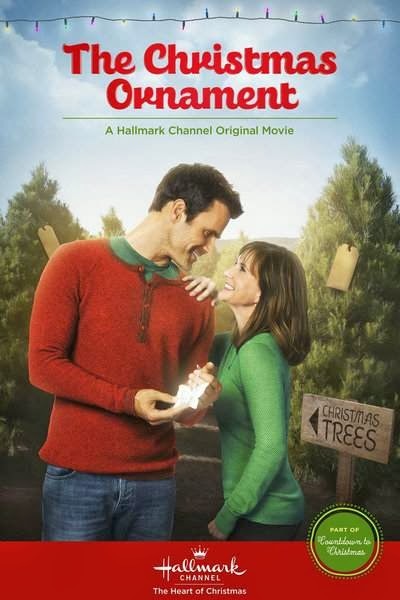 Hallmark Christmas Movie : "The Christmas Ornament"
When a widow is having a hard time facing her first Christmas without her husband, she meets a Christmas tree lot owner who tries to help her see that there is still hope and love in the world. 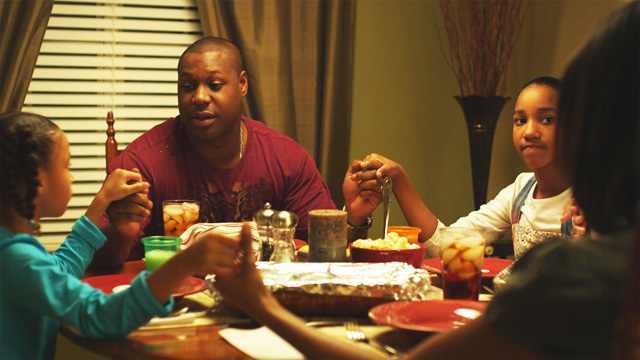 ‘Jinxed’ is about an extremely unlucky family that just can’t seem to have anything go right. 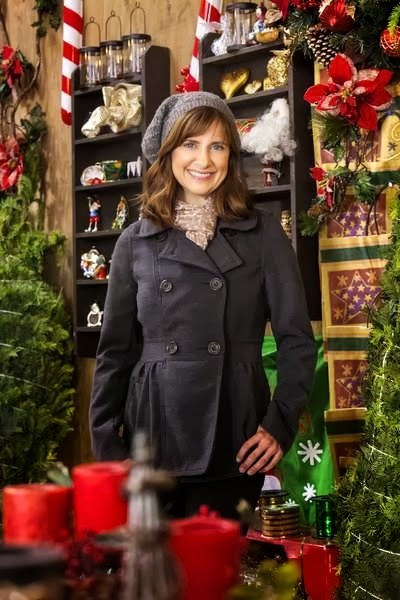 Please Note: *This 2 hour Movie is a pilot for the next primetime series for the Hallmark Channel - by "Touched by an Angel" alum Martha Williamson. *Click Here for Episode details for the "Signed, Sealed, Delivered" TV Series. 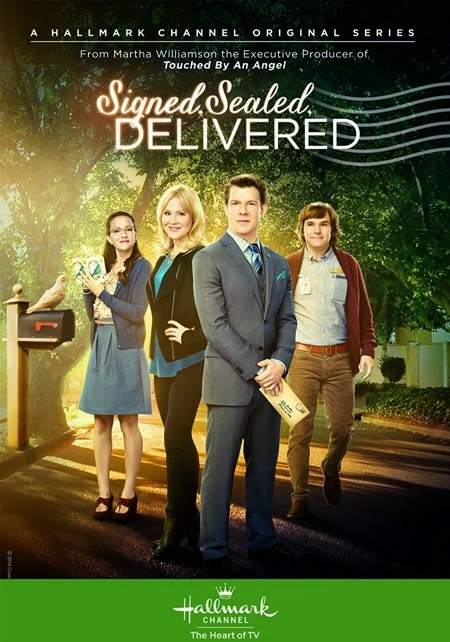 “Signed, Sealed, Delivered,” introduces a dedicated, quartet of civil servants in the Dead Letter Office of the U.S. Postal System who transform themselves into an elite team of lost-mail detectives. Their determination to deliver the seemingly undeliverable takes them out of the post office into an unpredictable world where letters and packages from the past save lives, solve crimes, reunite old loves and change futures by arriving late but always miraculously on time. 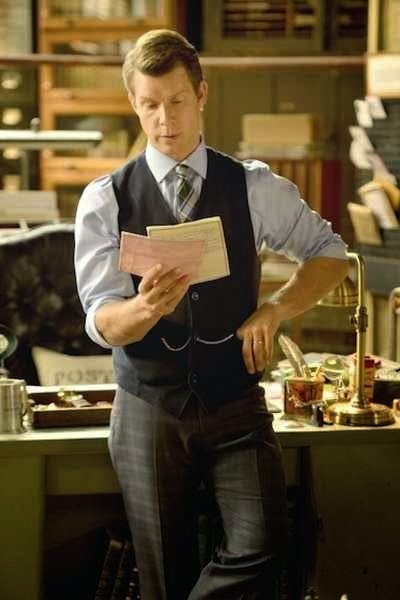 The intrepid team is led by the charming and handsome, but idiosyncratic, Oliver (Mabius) who still considers the stamped and mailed letter to be the gold standard of human communication. 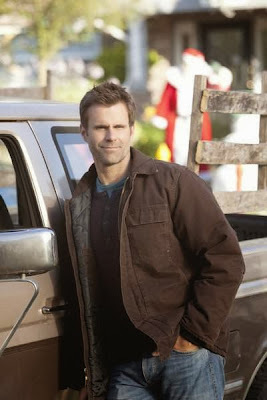 His hapless team of lost letter experts, free-spirited Rita (Crystal Lowe, “Smallville”) and oddly- intuitive Norman (Geoff Gustafson, “Primeval: New World”), are thrown for a loop when a beautiful, no-nonsense technophile named Shane (Booth) is mistakenly transferred to their inner sanctum. Shane inspires the lovable crew to step up in a risky and unorthodox way, beginning with a chance to clear the name of a wrongfully accused man and reconnect him with the love of his life. The Hallmark Channel delivers again! 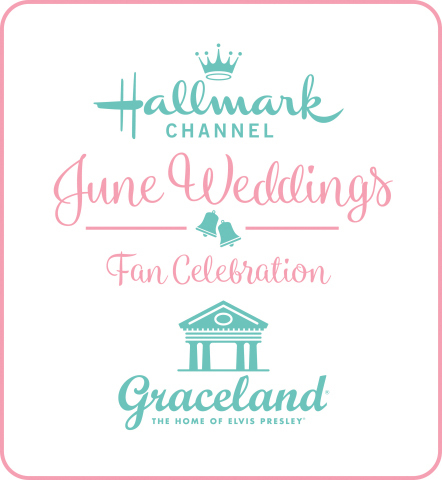 I have seen this movie and I can guarantee this Hallmark Package will be well received by viewers! It's fabulous! 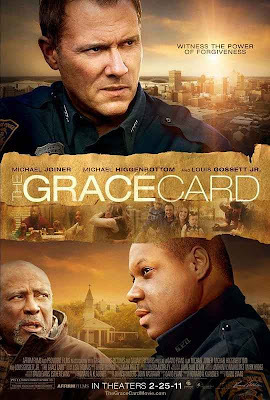 I would compare it to the level of a Hallmark Hall of Fame film, due to the wonderful cast and inspirational, heartwarming feel. 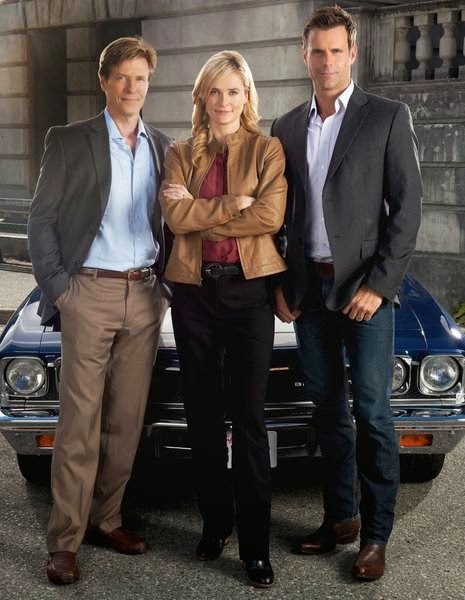 The CIA has nothing on this team of “Letter” detectives! Signed Sealed Delivered is such a clever movie… thought-provoking, soul-searching, and definitely emotionally stirring! 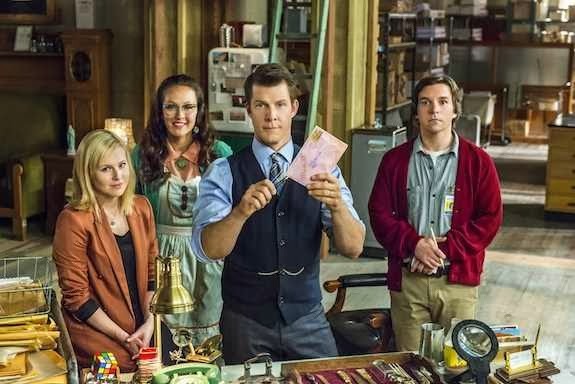 Let me begin with Oliver, portrayed by actor Eric Mabius, who is the leader of the group, at the United States Postal Office, which investigates Lost or Dead Letters. As a man with a certain throw-back era of charm and sophistication, we gradually learn Oliver’s story. His wife has left him, over a year ago, and yet he still holds out hope they will one day reunite. He is a true gentleman, who has made a promise, so he has remained faithful. 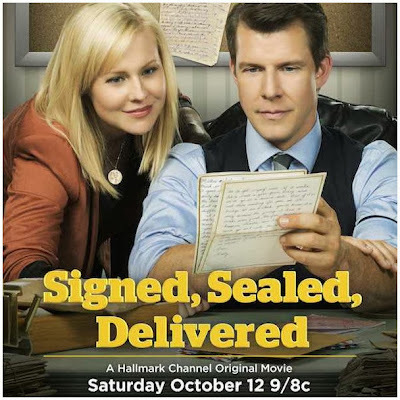 Oliver takes his job and life, in general, very seriously and feels a higher calling, as a mission to deliver each letter, as it has been intended to be sent. Shane, portrayed by actress Kristin Booth, is the newest member of this team of investigators. In spite of the name Shane, this character is female. She has been incorrectly sent to work in this dead letter office, and at first, she cannot wait to be sent on to where she was initially assigned. 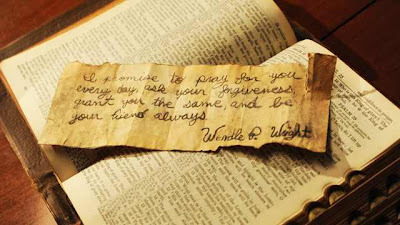 However, while waiting to be transferred, she develops a passion for their mission of finding the recipients of these lost letters, and a fondness for her co-workers Oliver, Rita, and Norman. 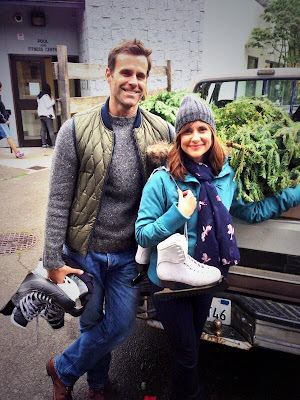 So that takes us now to the co-workers, characters Rita and Norman, portrayed by Crystal Lowe and Geoff Gustafson. It’s obvious, from the start, that these two are extremely smart and dedicated to their work, each having a database of facts and information already stored in their minds. I really like Rita. She is intelligent, sweet, a little shy, and she has a retro style, which I love. Norman, also a little shy, is quick with facts and figures, but terribly slow in the department of love and realizing that Rita likes him. Though she makes several attempts at hinting her interest, Norman seems clueless. If I had to classify these two, as they do their letters, I would stereotype them as bookworm / computer nerds, who are far more comfortable with written words, then real-life people and social conversation. In the end, Shane helped this team, to bend the rules a bit, by using her tech-savvy computer skills, and helping to solve the mystery of their lost letter… all while finding a bit of redemption, herself, with a mysterious letter, of her own. I truly enjoyed this movie… I laughed, I got misty eyes (at one point), and I felt rather part of the story, trying to guess what would happen next with clues given along the way. As a person of faith, I was proud that such a gentlemen, like Oliver, was also portrayed as a man of faith, with honor and principle. 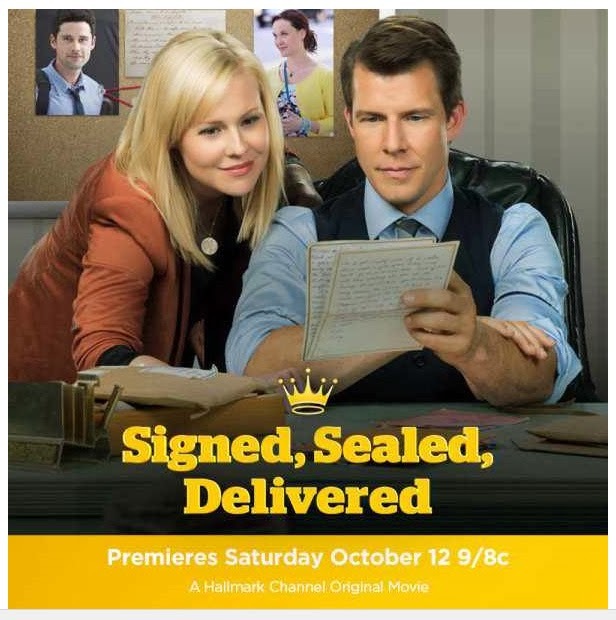 I loved the “Signed, Sealed, Delivered” Premiere Movie – and I am absolutely looking forward to the upcoming drama series on the Hallmark Channel come Spring, 2014! 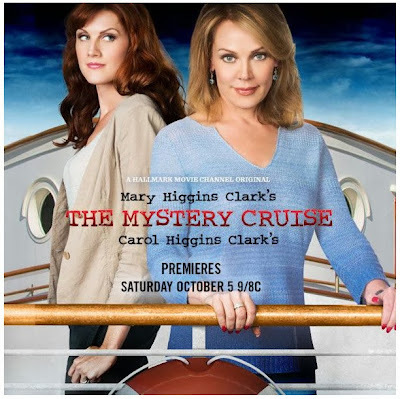 Set Sail with Hallmark Movie Channel in... "The Mystery Cruise"
"The Mystery Cruise" is available to *STREAM HERE*! *Based on the book “The Santa Cruise” by New York Times bestselling authors, Mary Higgins Clark and her daughter, Carol Higgins Clark. “The Mystery Cruise” centers on best friends and impending partners, Alvirah Meehan (O’Grady), a lottery winner turned amateur sleuth and Regan Reilly (Harrison), a private investigator. After the two heroines rescue the diamond-collared pooch of a wealthy socialite (played by Carol Higgins Clark), they set off with their spouses to join Regan’s mom, Nora Reilly (Colleen Winton, “The 4400”), a world famous mystery writer, on a luxurious three day cruise around the San Juan Island off the coast of Washington, the setting for a mystery game created to promote the release of Nora’s latest book. 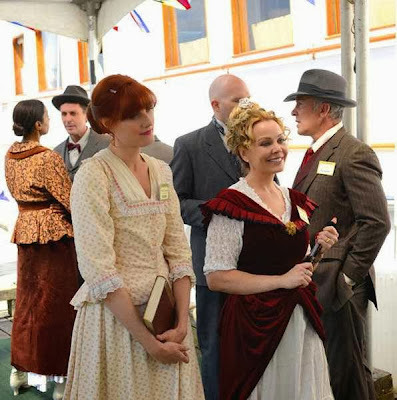 As the boat calmly sets sail, everyone is enjoying getting into character, especially Alvirah, who may or may not be the “murderess” in the mystery game. 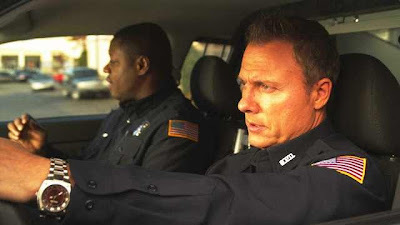 But troubled waters lie ahead when Alvirah gets a hunch that a real killer may be on board and together with Regan the pair teams up to take the killer down. Back on the mainland, Alvirah and Regan hang out their shingle in their fabulous Manhattan office to continue their sleuthing and crime fighting ways! When a murder mystery games turns into real murder during their "leisurely" cruise, best friends Alvirah Meehan and Regan Reilly determine they must solve this case. 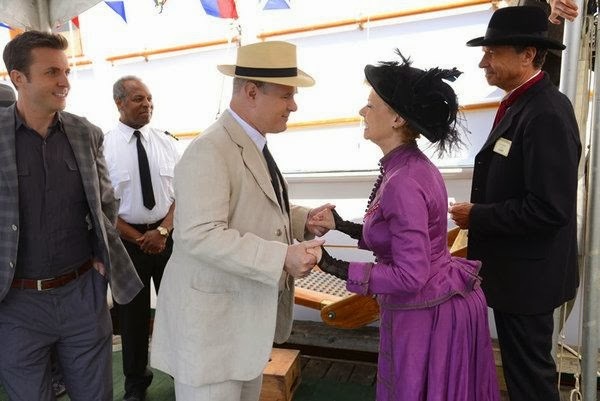 To complicate matters more, each person aboard the ship is portraying a different costumed character in the mystery game challenge. Everyone on the ship becomes suspect - from bow to stern! The question is... how rocky will the waters become? "The Mystery Cruise" is full of intrigue, and it's funny, too! Can Alvirah and Regan somehow work together and solve this mystery before someone is thrown overboard? You'll have to watch and see! 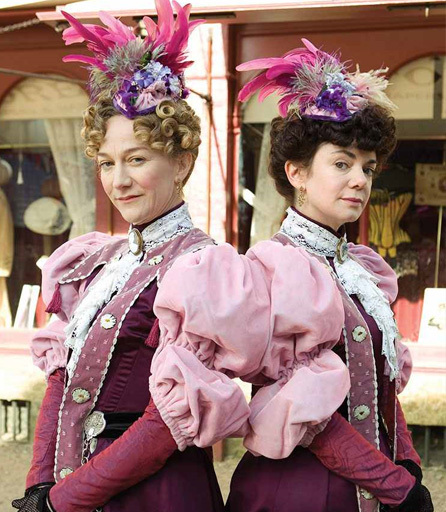 This is a fun mystery, but please note... it is a murder mystery, so it may not be suitable for young viewers. Otherwise, I think most Hallmark mystery watchers would enjoy this one! Definitely one to "sea"! *This 2 hour Movie is a potential back door pilot for a primetime series. 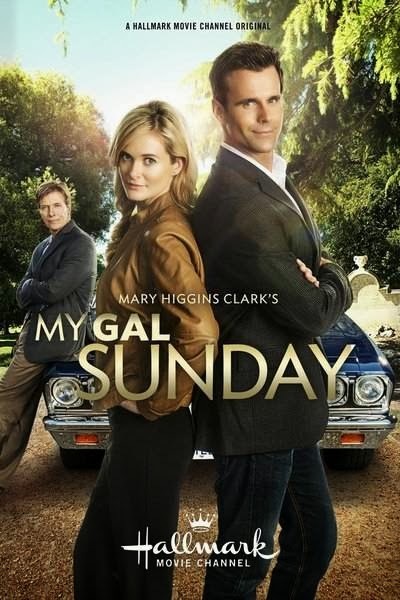 *Based on the book of short stories My Gal Sunday by New York Times Bestselling Author Mary Higgins Clark. It was love at first sight for Sandra "Sunday" O'Brien-Parker (Blanchard), the beautiful young lawyer and daughter of a Secret Service Agent and Henry Parker (Mathison), retiring White House Secretary of State, when Sunday's dad Danny (Wagner) introduces them in Washington, D.C. A year after their wedding, Sunday and Parker - now living near Lake Tahoe, California where Parker was once a beloved state governor - are an unstoppable sleuthing team who enjoy the political spotlight while taking pleasure busting the bad guys. 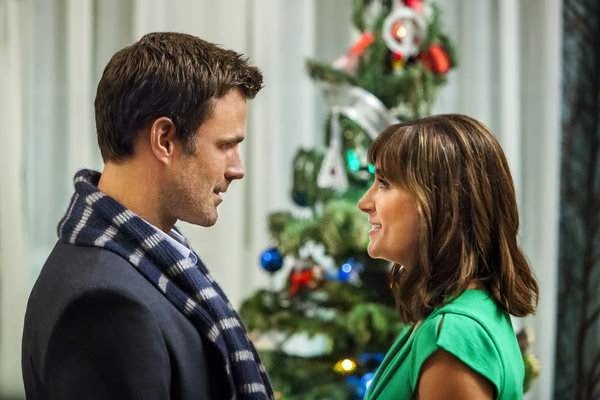 But when Parker's mom Miriam (Janet-Laine Green, "She's the Mayor") and Danny are suddenly kidnapped on their way to a high-profile family event, Parker and Sunday are immediately on the case - and this time its personal. 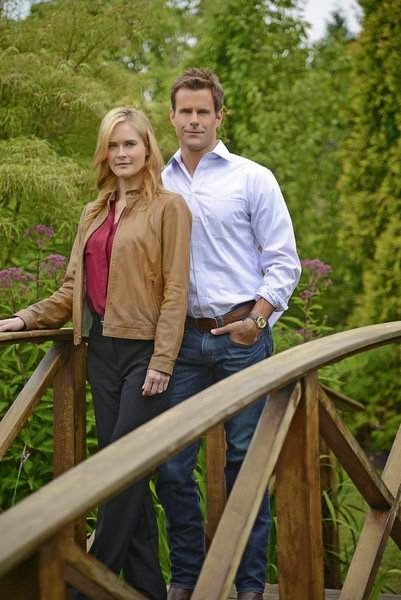 Believing they were the true targets of the crime, the daring duo works together to uncover clues and find out why the kidnapper is demanding the release of a notorious hit-man from federal prison as a ransom. 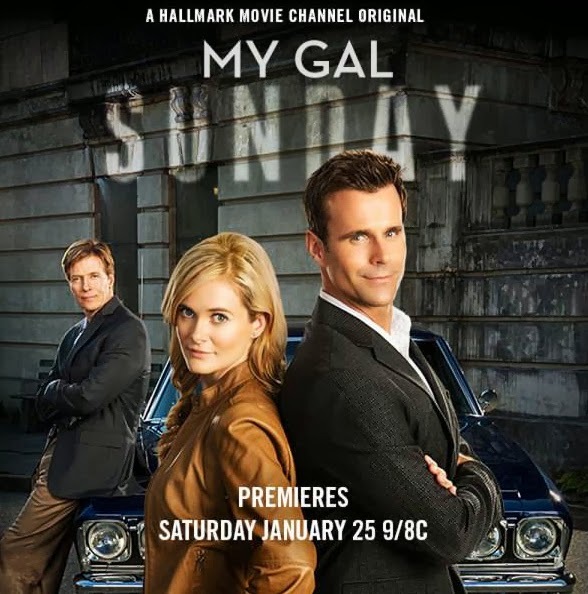 Racing against the clock to rescue their parents, Parker and Sunday dig deep into their past to find out their connection to the criminal and as they uncover his identity, they put their lives at stake in a suspenseful final showdown. 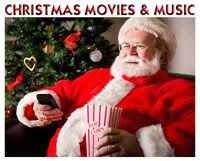 Three New Movies this Weekend! Saturday Night, August 24, 2013! 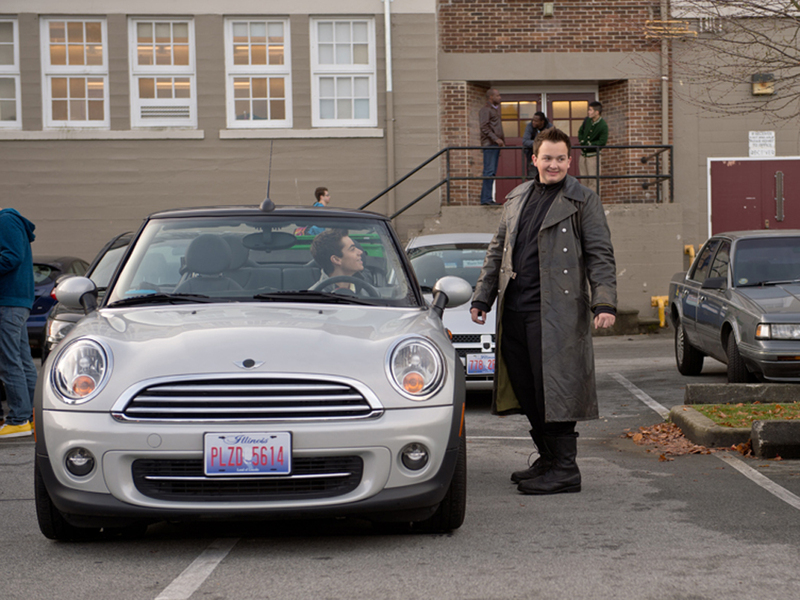 Please Note: this movie is Rated PG-13. is not suitable for young viewers. 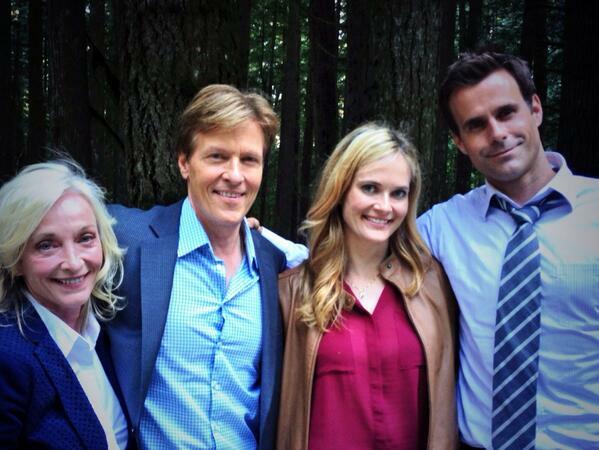 an all new episode of the Drama Series - Cedar Cove! 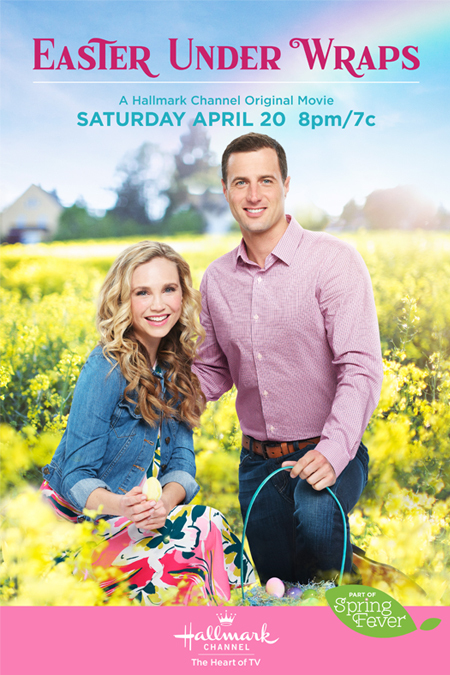 will premiere on Saturday Night. 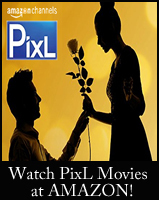 This movie is Rated TV-G.
Let me know - if you happen to catch one of these movies! Everyone has a baseball card but not everyone has one that worth 1.2 million dollars! And when one falls into the hands of best friends Ben and Griffin, it's the instant solution to save Ben from having to move. It's just too bad the boys get swindled out of some serious cash when they try to sell it at the shop, and end up leaving with $300 instead. It's time to call in some favors and avenge the swindler in this brand new movie based on Gordon Korman's best-selling book, Swindle! 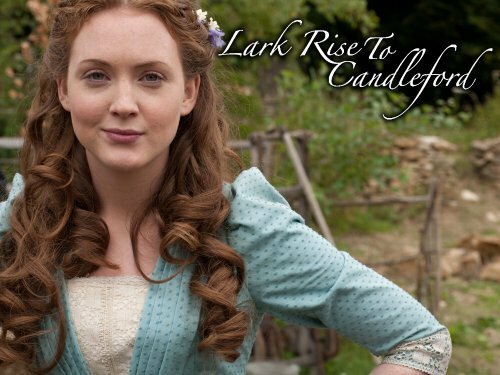 Based on a true-life story of Flora Thompson and set in the 1880’s English countryside, this tale chronicles the life of young Laura Timmons who moves a few short miles from her quaint shire to a nearby town. 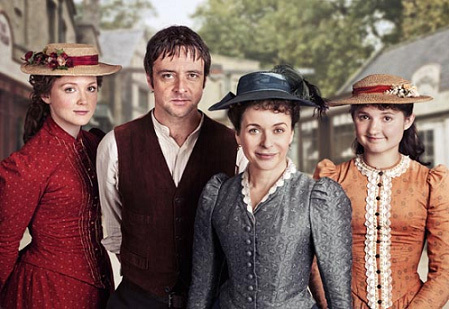 This rich, funny and emotional series follows the relationship of two contrasting communities: Lark Rise, a small hamlet gently holding onto the past, and Candleford, a neighboring market town bustling into the future. An explosive, dramatic, adventure series about the military service of the Judge Advocate General (J.A.G.) Corps. As U.S. military attorneys, Commander Harmon “Harm” Rabb (David James Elliot) and his partner Major Sarah "Mac” MacKenzie (Catherine Bell) use intellect and grit to uncover the mysteries behind criminal cases that involve murder, treason and espionage. 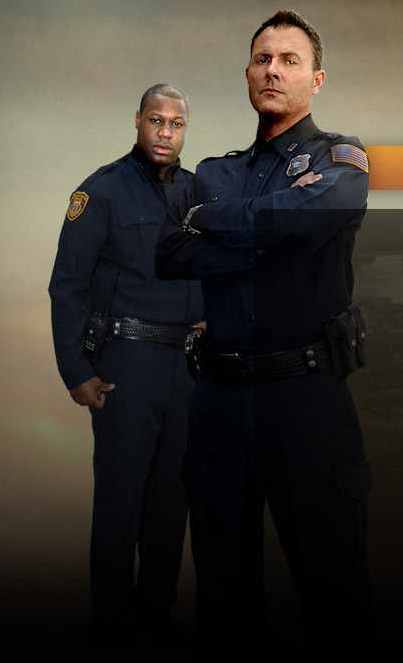 Their skill and tenacity bring America’s most dangerous enemies to justice. JAG combines the intensity of the battlefield with the suspense of a criminal investigation into one action-packed hour. 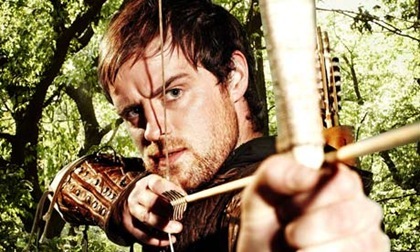 An action-packed, romantic and lighthearted drama that follows Robin of Locksley (Jonas Armstrong) after he discovers his town has fallen under the rule of the dark-hearted Sheriff of Nottingham. 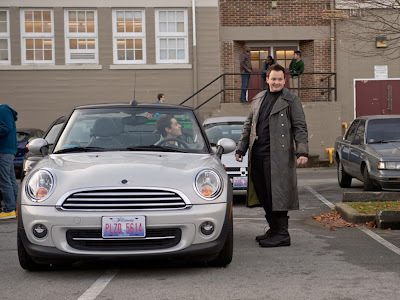 To fight the tyranny that has overtaken his home and his friends, Robin becomes the leader of a band of outlaws willing to rise up and fight for freedom. When Robin also discovers that his childhood sweetheart, feisty Lady Marion (Lucy Griffiths), has remained unmarried, he struggles to find a way to win her heart over the Sheriff of Nottingham’s second-in-command, Sir Guy of Gisborne (Richard Armitage). 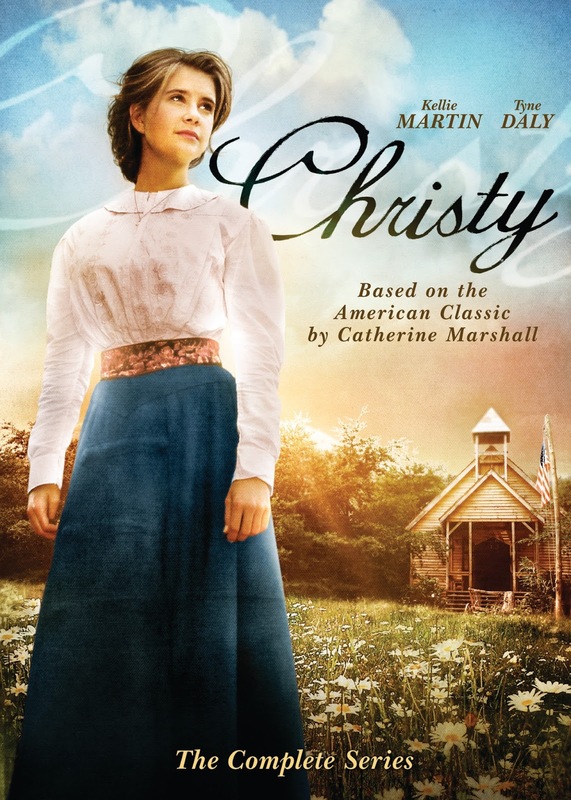 Based on the bestseller by Catherine Marshall, Christy tells the story of an idealistic nineteen year old (Kellie Martin) who leaves the comforts of her city home to teach school in the impoverished Appalachian community of Cutter Gap, Tennessee in 1912. Strength, determination, and faith, along with the friendship of Alice Henderson (Tyne Daly), guide young Christy Huddleston through unforeseen difficulties, help her to gain understanding of the proud mountain people, and win her the friendship and the love of two men. 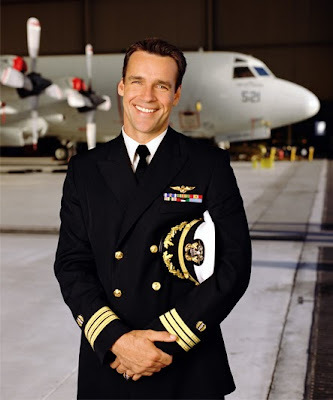 I must say I am not familiar with this particular "Robin Hood" series; however, "JAG" is a fascinating military drama where justice is served by actor, David James Elliott. 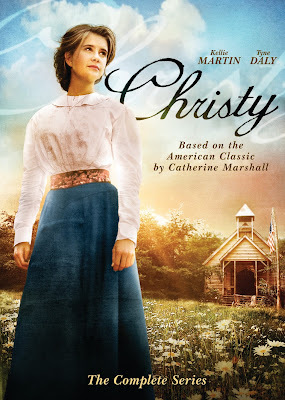 In the TV Show "Christy", Christy Huddleston is portrayed by actress Kellie Martin, which is also a lovely period series that ended all too soon, yet each episode is precious and beautiful... something to treasure! 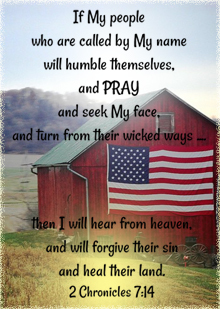 Watch and you will see! I hope you will enjoy all of these new drama series on INSP!" *This is a Faith Based Film. *Please Note: This movie is Rated PG-13. See the http://parentpreviews.com/movie-reviews/content-details/grace-card-the web-site for more details on this rating.